So, you have decided to rent an apartment in New York City. Great! Here’s what you need to know to be prepared for the rigors of renting in New York City. Good credit is essential! Landlords want to see that you use credit responsibly and that you pay your bills on time. Each landlord may have separate minimum score requirements, but if your credit is not so good, you may have to obtain a guarantor who has good credit or you may have to pay additional security. The same is true for people who do not have U.S. credit history or otherwise reside outside of the country. In such case, be prepared to be asked to secure a U.S.-resident guarantor or to pay the full year up front. Requirements vary from landlord to landlords, but income matters and landlords typically want to see that your income is at least 40X the rent. 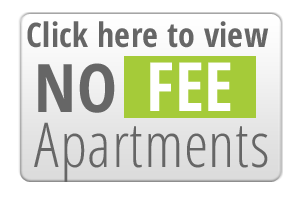 This means, if you are looking for a rental listing which monthly price is $1,000. You should have an annual income of $40,000. Example: $1,000 (Monthly Rent) x 40 = $40,000 yearly income. Landlords must consider all sources of income, so earned and unearned income is taken into account (i.e., alimony, housing vouchers, rental income, etc.). If you don’t meet the 40X monthly income threshold alone, don’t fret, you still have hope. Landlords consider total household income, so if you and your roommate together meet the minimum income threshold AND you both meet the credit qualifications, you are most likely good to go. In the event that you don’t have enough income and/or your credit history doesn’t make the cut, you still have hope. Landlords will accept a guarantor to “co-sign” your lease. Guarantors have to qualify as well, so anyone acting as one should meet the landlord’s credit qualifications and the income should be at least 80X the monthly rent. Guarantors should be prepared to submit a rental application and also submit the supporting documents required in order for the landlord to qualify prospective tenants.